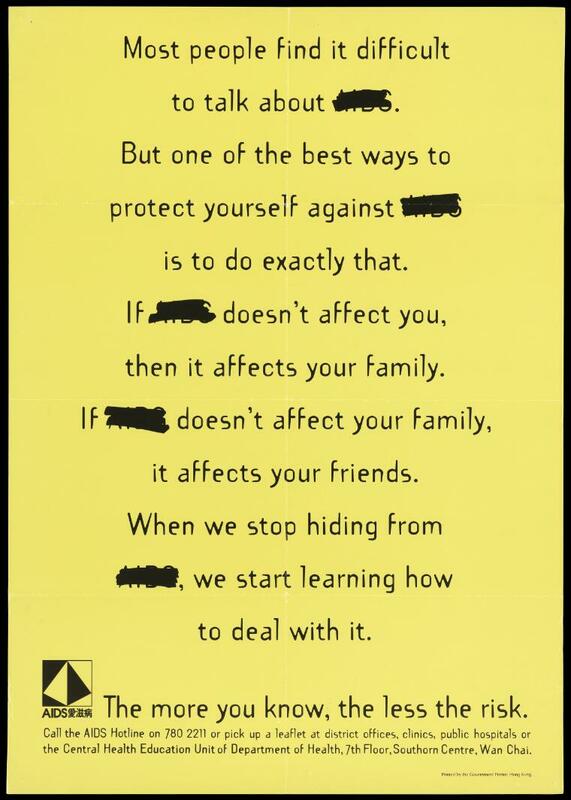 A message about the effect of AIDS with the word 'AIDS' (?) repeatedly crossed out; an advertisement for the AIDS Hotline by the Department of Health, Government of Hong Kong. Colour lithograph, ca. 1995. The more you know, the less the risk. Call the AIDS Hotline ... or the Central Health Education Unit of Department of Health, 7th floor, Southorn Centre, Wan Chai.